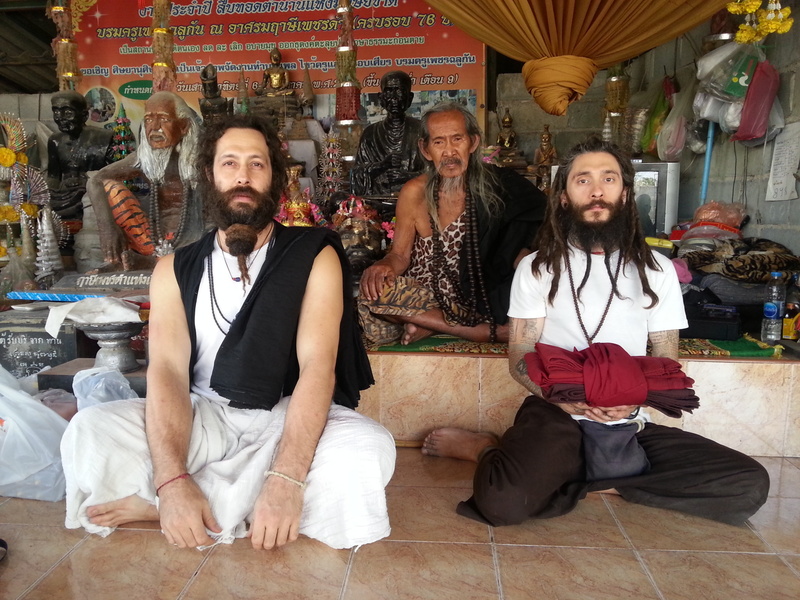 Andrea Mario Benucci’s first encounter with images of Sak Yan, Thai magical tattoos, captivated his curiosity. As a working tattoo artist, he became fascinated with the practice and began researching the topic, though at the time, information was not easily accessible. Three year later, in 2005, he traveled to Thailand in order to learn more and receive his first Sak Yan. In the following years, he continued to visit Thailand, receiving more Sak Yan and learning with different Ajahns. 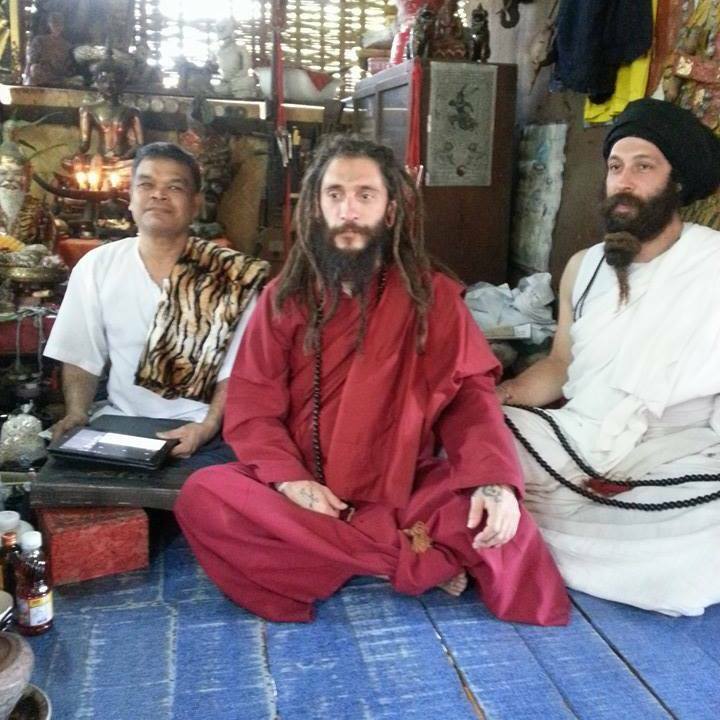 In 2009, he met Tevijjo Yogi, a Reusi who would become one of his teachers and introduced him to other teachers. Devoted to the study and practice of Traditional Sciences, including Sak Yan, Andrea received initiation into the Tradition in 2012. 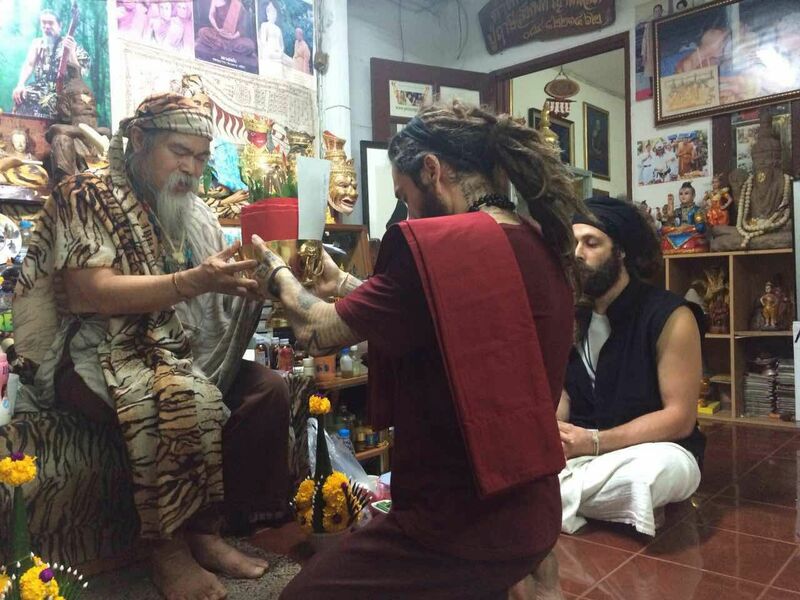 After significant studies in Buddhadhamma, incantations, Meditation and other practices, he was received into the Reusi tradition and given initiation by Ajahn Prasong, Reusi Petch Dam, Reusi Sompit, Tevijjo Yogi and other Reusi. During his initiation, and later ordination, he was given the name Bhālacanda Paññamuni. Since then, the study, practice and preservation of this Tradition has become his single focus. By sharing Sak Yan, divination and the practice of chanting and Meditation with others, Bhālacandra aspires to benefit beings who are suffering by introducing them to this genuine Tradition, which leads to knowledge of one’s self and, ultimately, to liberation.